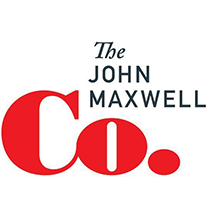 John C. Maxwell shares the five levels of leadership—the principles that help leaders move up from the lowest position of their careers or ministries to the pinnacle. I came up with the idea of five distinct levels of leadership many years ago, and first described the concept in a book in Developing the Leader Within You. And in 2011, I devoted an entire book, The 5 Levels of Leadership, to exploring the levels – their upsides, downsides, the best behaviors for that level, the beliefs that help a leader move up to the next level, and how the level relates to the Laws of Leadership. This is the lowest level of leadership—the entry level. People who make it only to Level 1 may be bosses, but they are never leaders. They have subordinates, not team members. They rely on rules, regulations, policies, and organization charts to control their people. Their people will only follow them within the stated boundaries of their authority. Position is the only level that does not require ability and effort to achieve. Anyone can be appointed to a position. This means that position is a fine starting point, but every leader should aspire to grow beyond Level 1. Making the shift from Position to Permission brings a person’s first real step into leadership. Leadership is influence, and when a leader learns to function on the Permission level, everything changes. People do more than merely comply with orders. They actually start to follow. And they do so because they really want to. Why? Because the leader begins to influence people with relationship, not just position. When people feel liked, cared for, included, valued, and trusted, they begin to work together with their leader and each other. And that can change the entire working environment. The old saying is really true: people go along with leaders they get along with. Production qualifies and separates true leaders from people who merely occupy leadership positions. Good leaders always make things happen. They get results. They can make a significant impact on an organization. Not only are they productive individually, but they also are able to help the team produce. No one can fake Level 3. Either you’re producing for the organization and adding to its bottom line (whatever that may be), or you’re not. Some people never move up from Level 2 Permission to Level 3 Production. Why? They can’t seem to produce results. When that is the case, it’s usually because they lack the self-discipline, work ethic, organization, or skills to be productive. However, if you desire to go to higher levels of leadership, you simply have to produce. There is no other way around it. On Level 3, the emphasis is on personal and corporate productivity. The ability to create a high-productivity team, department, or organization indicates a higher level of leadership ability than most others display. But to reach the upper levels of leadership that create elite organizations, leaders must transition from producers to developers. Why? Because people are any organization’s most appreciable asset. Good leaders on Level 4 invest their time, energy, money, and thinking into growing others as leaders. How does this emphasis on people and people decisions translate into action? Leaders on the People Development level of leadership shift their focus from the production achieved by others to the development of their potential. And they put only 20 percent of their focus on their personal productivity while putting 80 percent of it on developing and leading others. This can be a difficult shift for highly productive people who are used to getting their hands dirty, but it’s a change that can revolutionize an organization and give it a much brighter future. Rare is the leader who reaches Level 5—the Pinnacle. Not only is leadership at this level a culmination of leading well on the other four levels, but it also requires both a high degree of skill and some amount of natural leadership ability. It takes a lot to be able to develop other leaders so that they reach Level 4; that’s what Level 5 leaders do. The individuals who reach Level 5 lead so well for so long that they create a legacy of leadership in the organization they serve. Pinnacle leaders stand out from everyone else. They are a cut above, and they seem to bring success with them wherever they go. Leadership at this high level lifts the entire organization and creates an environment that benefits everyone in it, contributing to their success. Level 5 leaders often possess an influence that transcends the organization and the industry the leader works in. Most leaders who reach the Pinnacle do so later in their careers. But this level is not a resting place for leaders to stop and view their success. It is a reproducing place from which they make the greatest impact of their lives. That’s why leaders who reach the Pinnacle should make the most of it while they can. With gratitude and humility, they should lift up as many leaders as they can, tackle as many great challenges as possible, and extend their influence to make a positive difference beyond their own organization and industry.